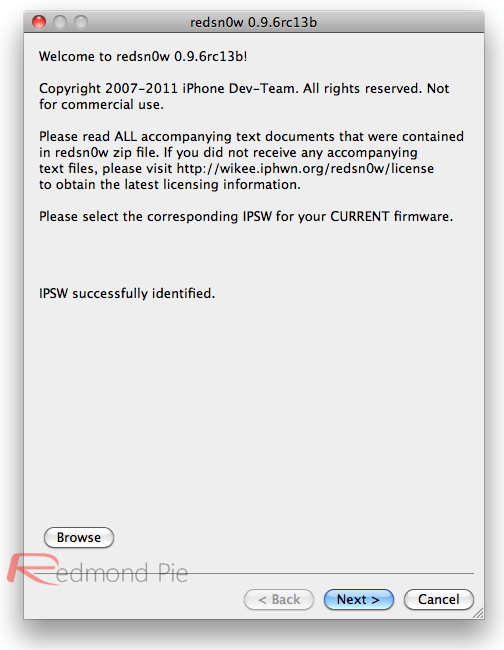 The iPhone Dev-Team has released Redsn0w 0.9.6rc13 to include support (except for iPad 2) for untethered jailbreak on iOS 4.3.2 using the same i0n1c’s exploit which was used to previously untether 4.3.1.
iOS 4.3.2 was originally jailbroken last week using PwnageTool bundles (on Mac) but it was limited to tethered boot. 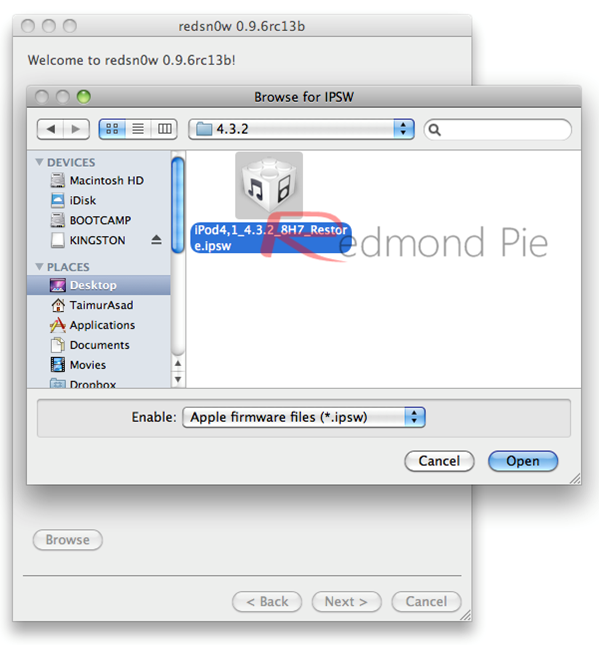 But now with this latest version of Redsn0w, you can jailbreak your iPhone, iPod touch and other A4 devices fully untethered on the latest iOS 4.3.2 firmware. 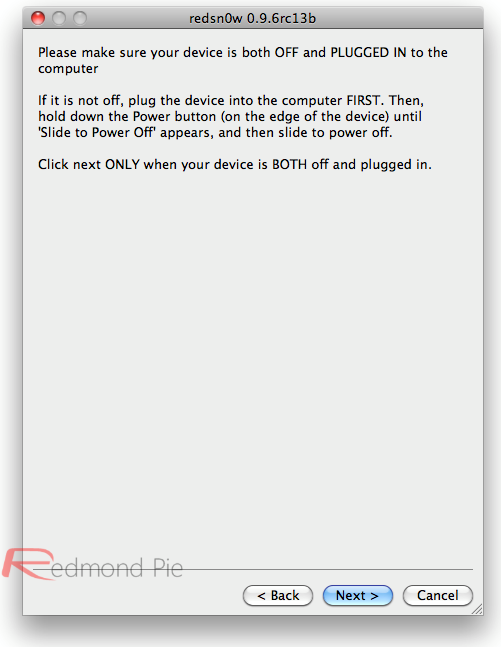 NOTE: Those of you who rely on a carrier unlock MUST STAY AWAY from Redsn0w and stock iOS 4.3.2 firmware. Step 6: Sit back and enjoy while Redsn0w does the rest for you. 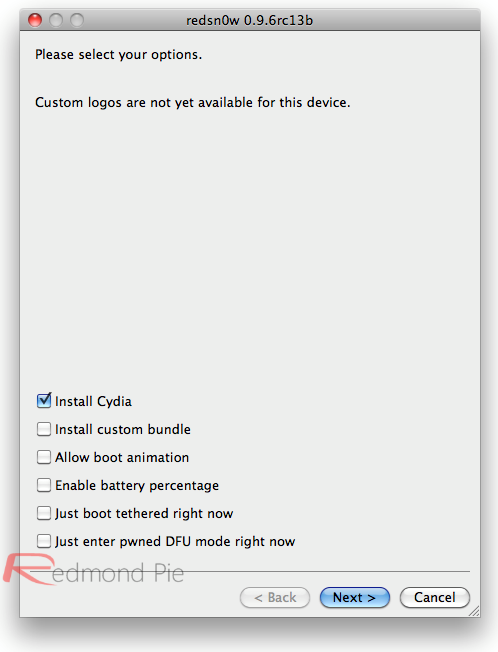 Once done, your iOS device will restart automatically and you will find it fully jailbroken (untethered) on the latest iOS 4.3.2 firmware. 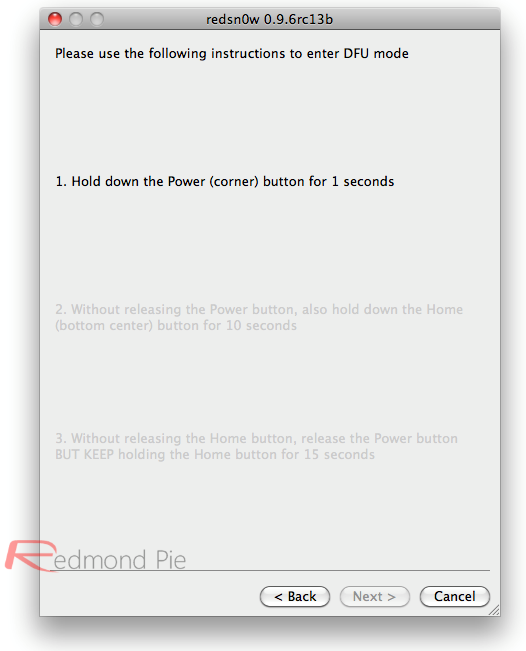 UPDATE 1: Redsn0w 0.9.6rc14 adds support for untethered iPhone 4 jailbreak on iOS 4.3.2. Download it from here. UPDATE 2: Our video tutorial is now up!